Could There be a Last Minute Rays Holiday Gift? 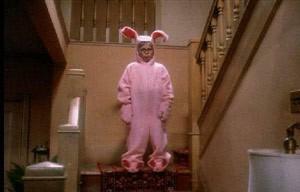 We all know that the holiday season’s spirit is centered around the fact of giving and sharing with our fellow-man. 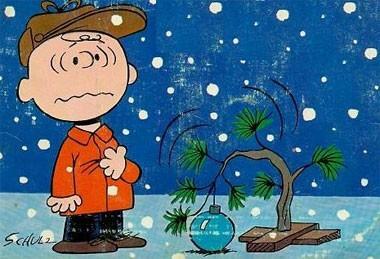 No matter your religious affiliation or the exact calendar date to commemorate your joyous celebrations, every team within the MLB wants to bring about a joyous cornucopia of unexpected presents to their faithful fans base, hopefully adding a few well placed good tidings and joy as we are now under 50 days until Pitchers and Catchers officially report to Spring Training. 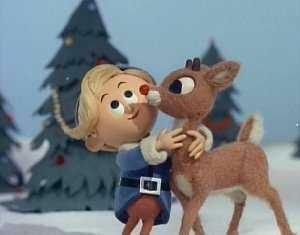 With all of the recent unwrapping of surprising player signings and a surplus of some tremendous talent that has some MLB rosters bursting at the seams like Santa’s red jacket, a team like the Tampa Bay Rays could very easily come a-caroling in the waning moments of the holiday with bushels of prospects and MLB ready personnel with hopes of possibly adding a few additional player ornaments to their own tree before the blessed holiday season comes to an end. 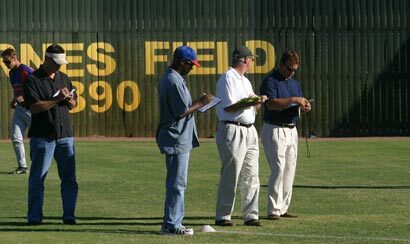 Whether it be by trade, free agency or even minor league deal with a Spring Invite, this is the perfect time for the Rays to get in the giving mood, and possibly get some glad tidings in return who could be instrumental pieces of the Rays own game plan as they head into the Spring of 2013. 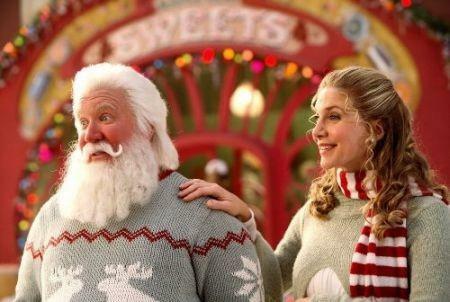 With that in mind, I’m going to pop on my Rays Santa elves cap and throw out a few names that I would pen onto my “Wish List” going into the final holiday moments. 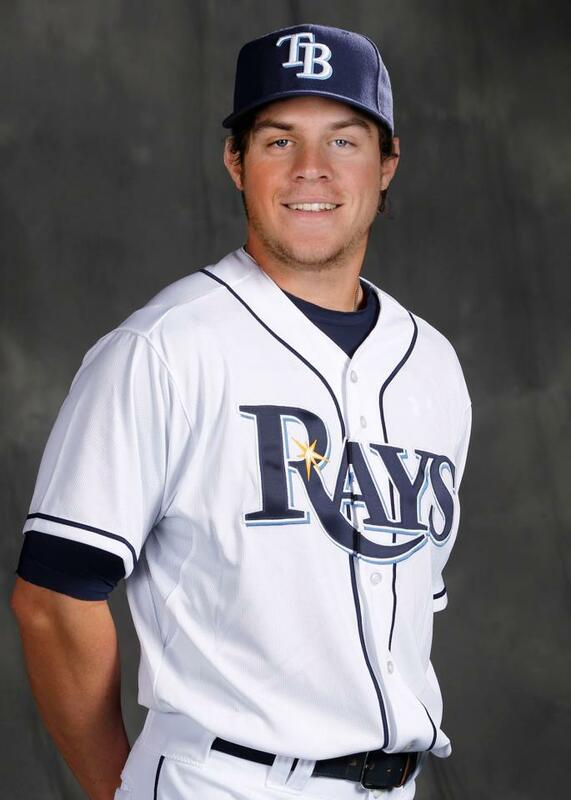 We all know the Rays have been eagerly searching and awaiting the perfect additions to their team to the Designated Hitter position, and possibly a right-handed First Baseman who could platoon with newly signed James Looney to provide a bit more stability and flexibility to the Rays past offensive woes. With that in mind, here are a few names I have penned on my own list to Santa Sternberg hoping he will pass these on to his dedicated Master Elf, Andrew Friedman. I was a bit perplexed the Rays have not entertained a trade towards their expansion brothers the Arizona Diamondbacks in regards to outfielder Jason Kubel. I had Kubel higher on my list of potential targets heading into this time of the season than Justin Upton, especially since Kubel could be brought into the Rays fold with mirror salaries of $ 7.5 million expected over the next 2 seasons. Sure Kubel played mostly a corner (LF) outfield position in 2012, but he does have ample experience as a Designated Hitter in the American League after his tenure with the Minnesota Twins and his salary is within the Rays general range for DH candidates who can also play an outfield position during the InterLeague schedule. What might make the D-Backs an ample trading partner is the fact the Rays have a few pieces both in experienced MLB infielders and budding pitching prospects who could make this deal happen fast with the recent addition of OF Cody Ross to the Arizona ranks. The only Grinch factor in Kubel is the fact he is a left-handed bat, but that should not hinder the Rays in trying to acquire a talented bat who knows how to play duo roles for his team. That is just once possible present the Rays could possibly foster before the 25th day of December, and there are even a few I have penciled in from my second favorite squad, the Seattle Mariners who could also be great additions to the Rays fold. 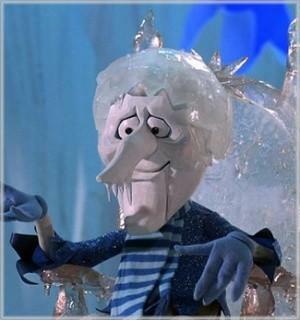 Some say the Rays were unwise to have traded John Jaso to the M’s when they had a few questions as to their catching corps. Jaso is only one of the Three Wise Men aka Emerald City edition I have picked as potential trade offerings the Rays could get for some well-placed sprigs of Frankincense Myrrh and possibly a few Gold shekels. Along with Jaso I would include 1B/DH Justin Smoak and the aptly named C/DH Jesus Montero who all 3 have become a bit expendable with the recent Seattle addition of 1B/DH Kendrys Morales and return of prodigal favorite Raul Ibanez. This overflow of potential First Baseman and Designated Hitter candidates make any of the 3 possible shining stars for the Rays to pluck out of the night sky possibly for not a lot of the aforementioned spices and metal. Jaso might be a long shot to return, but the possibility of a switch hitting DH/1B like Smoak or even an additional catching option and DH like Montero should have the Rays quickly on the phone inquiring about these 2 Wise choices for their current lineup holes. 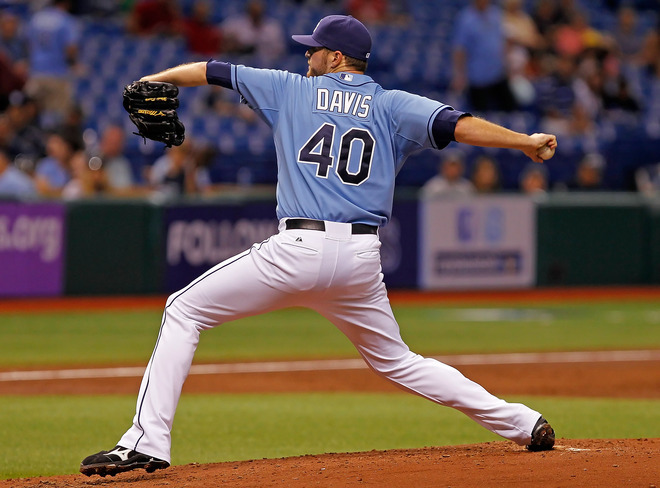 With the Rays recent signing of Roberto Hernandez to an incentive laced contract for either starting or relief duty, I feel he might either be a rotation fit or an ample candidate for the Rays now vacant long-relief spot with the trade of the team’s 2012 incumbent Wade Davis to the Royals. Even with the Rays young stable of budding relievers at the Triple-A level, it might be a prudent move to acquire or sign an experienced relief pitcher until the Rays youngsters show they are up to the task. 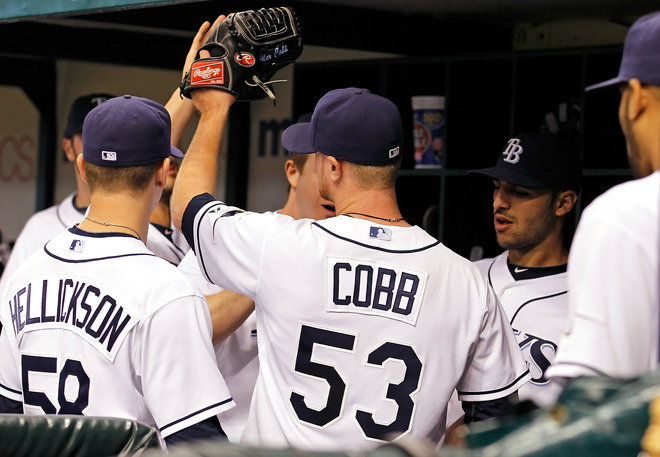 Right now with the duo of Kameron Loe, Jon Rauch and Jason Frasor all still out in the cold as free agents, possibly could come at a low-cost for the Rays as well as add some extra veteran experience and ability to the Rays Bullpen as right-handed relief options. With the Rays overflowing with leftie options with Jake McGee, Cesar Ramos and possibly Alex Torres, the left side of the relief corps might have stability for at least the next few years (barring injury). Loe would be the younger relief candidate at 31, with Rauch (34) and Frasor (35) and both having previous closer experience that sometimes is vital for a team to overcome even the slightest of late inning setbacks in the American League East. 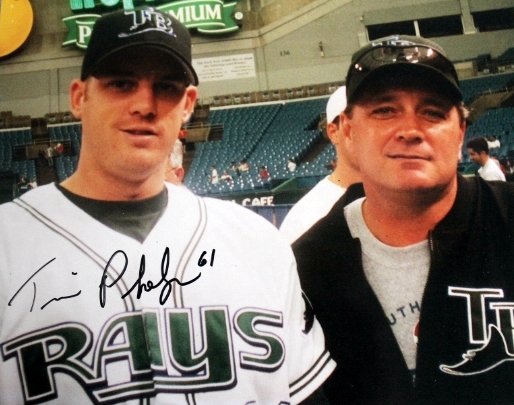 And wouldn’t it be wild if the Rays signed Rauch and added Jeff Niemann as their long reliever. The team could have the “Twins Towers of Terror” with each rising above the 6 foot 9 inches. 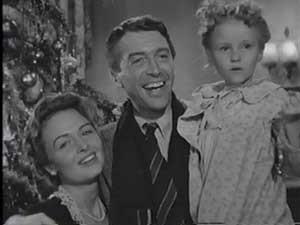 But that is what is great about the holiday season, some times you get completely surprised, and other times you can find just what you need under the tree to fulfill your dreams and needs. These are just a few of the viable options still out there or being put up on display as we begin the final push of the holiday season. My only real question now is are the Rays still seeking the right gifts, and are these teams brimming with overflowing roster in the holiday mood to give more than they receive? Depending on where you might live on this big blue marble, the number “12” might have a completely different meaning. Most people who take the easy road and say it is a unit of measure, with 12 doughnuts or other items making a dozen. 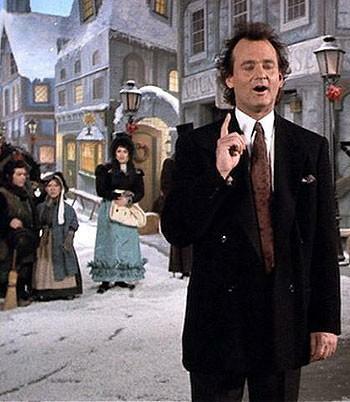 Other would probably be starting to feel the coolness of the approaching holiday season and immediately start humming the “12 Days of Christmas”. 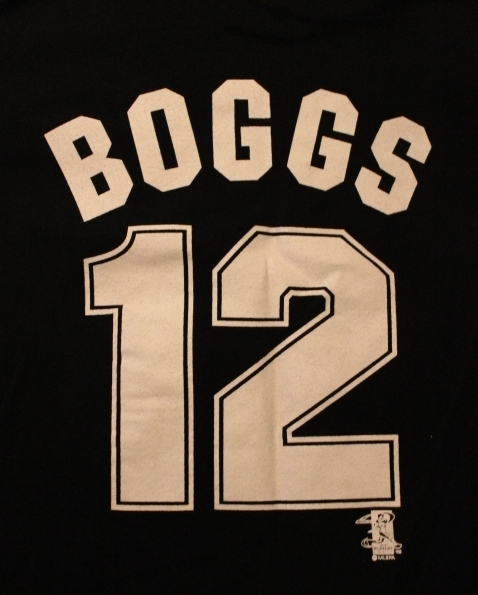 In Tampa Bay, if you are a member of the Rays Republic, 12-12-12 can only mean one thing……3 times the Boggs. 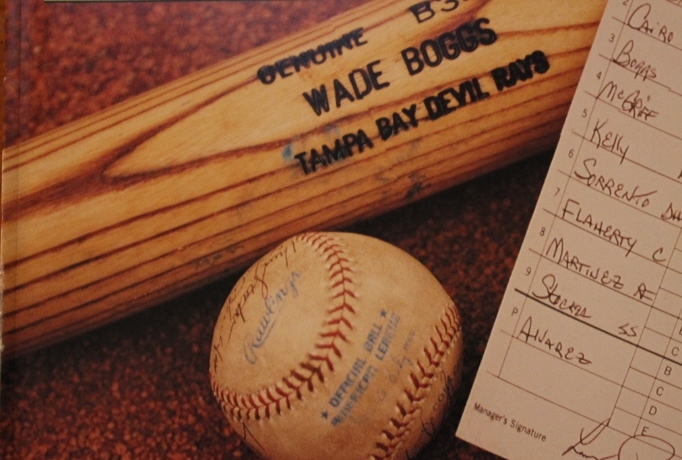 Wade Anthony Boggs is a hometown Tampa Bay product who did his thing in Boston, New York before finally coming home and being a part of the first rendering of the Tampa Bay franchise. Currently over right-center outfield seats on the blue back wall of Tropicana Field sit the number “12” emblazoned on that wall to commemorate the only Rays player ever to see his jersey number retired from the Rays uniform ranks. 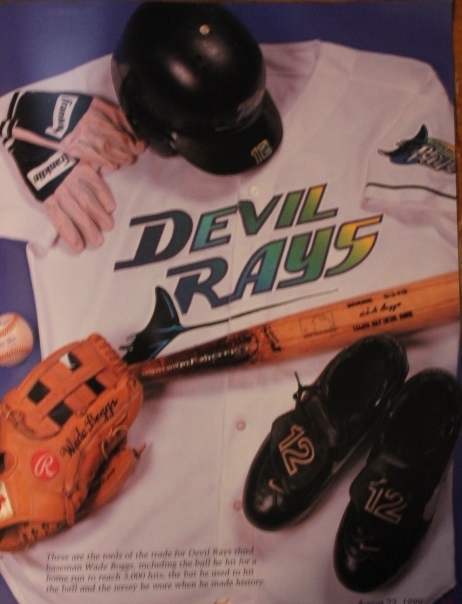 One section over and below his enshrined uniform number are the two yellow colored seats in the outfield that also mark the Rays first franchise HR hit by Boggs in the bottom of the 6th inning during the then DevilRays inaugural game on March 31, 1998. A second seat just a few rows up is also where is 3,000th hit, a Home Run landed putting him squarely in the record books at the time as 1 of only 2 MLB player ever to see his 3,000 hit ascend into the crowd for a round-tripper (NYY Derek Jeter did it also for his 3,000th on 6/9/2009). Sure Boggs may have only played 2 seasons (1/9th of his career) in the Rays uniform and retired after a knee injury in 1999, before pulling on the Rays uniform one last season as their Hitting Coach. Most would view the Rays deciding to retire his number being based more on his past accolades than his Rays tenure, but here was a guy who played at Tampa Plant HS (1976 grad), and still lives in the Tampa Palms section of Tampa, Florida who gave an early generation of young baseball fans someone to idolize and admire as much for his past as his game preparation. 1) Boggs actually played in the longest game in professional baseball history back with the Red Sox Triple-A squad Pawtucket in 1981 that lasted 33 innings and over 8 hours and 25 minutes. Cal Ripken Jr then a SS for the Rochester Red Wings and another Baseball Hall of Fame member also played in this endurance contest. 2) Boggs ranked 95th in 1999 in The Sporting News list of 100 Greatest Baseball Players and was a nominee for the Major League Baseball All Century Team. 3) Did you know Boggs was 121 plate appearances short of the required 502 at bats needed to possibly secure a 1982 American League Batting title during his rookie season ( hit.349). Boggs made sure to secure his first title the following season (1983). 4) Did you know Boggs was a member of the 1986 Red Sox squad that saw their World Series title hopes trickle down towards left field against the New York Mets. Boggs did get redemption in 1996 as a member of the New York Yankees when they hoisted their first World Series title in 18 years. 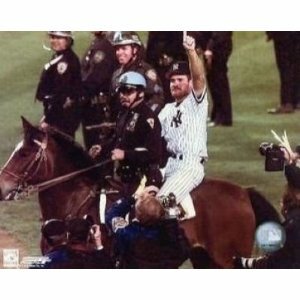 5) Everyone remembers Boggs jumping on the back of that NYPD mounted police saddle after Game 6 of that series, and strolling around the Yankee Stadium turf proclaiming who was #1 while on horseback, but did you know Boggs was weary of horses before his famous jaunt. 6) Boggs also had a pretty good knuckleball that he used 15 times (plus 1 fastball) in shutout inning back in a 1997 game against the Anaheim Angels when he wore pinstripes. 7) Boggs was voted the 5th Most Superstitious Athletes by Men’s Fitness magazine. 9) Boggs would take the same route into the dugout basically running from Third to Home Plate and the end of every defensive inning. Boggs drew the Hebrew word “Chai” meaning “life” into the batter’s box before each at bat, which was interesting since Boggs was not Jewish. 10)Every day Boggs took 117 ground balls, took BP at exactly 5:17, and ran pre-game sprints at 7:17. 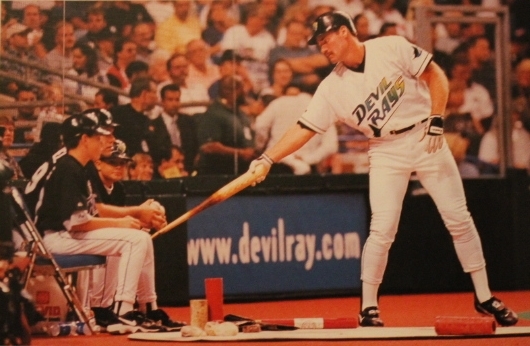 Boggs during his Rays career used to tap his bat head on the shin of his son Brett who was a Rays Bat Boy at the time. 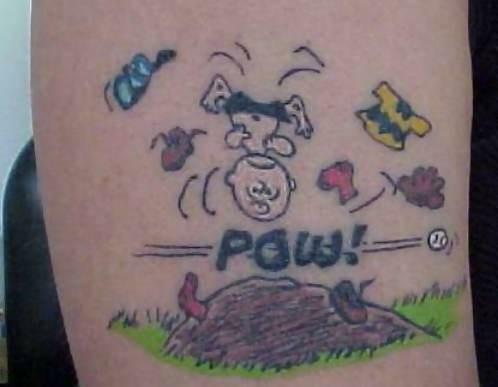 11)Boggs once ventured into the WWF where he did a vignette with WWE icon Mr. Perfect in which Mr. Perfect played baseball. He remained friends with the wrestler and in 2007 Boggs inducted the late Mr. Perfect into the WWE Hall of Fame. Boggs recounted a hunting accident once with Perfect when he carried Boggs after he cut his leg badly on some barbed wire. 12) Everyone knows Boggs did a guest appearance in the “Bar Wars” episode of Cheers where he was sent by a rival bar as an apology, but the Cheers regulars thought he was a fake Boggs. 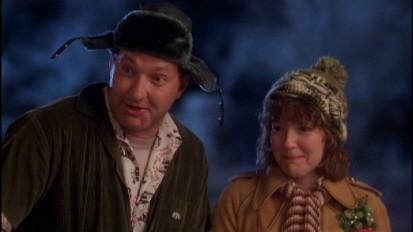 He also appeared in a 2011 episode of Psych entitled “Dead Man’s Cruveball”. 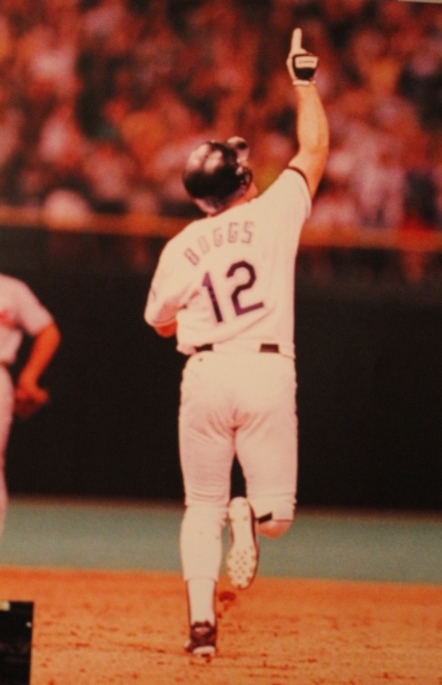 Wade Boggs might not have amassed a long and storied career as a Ray, but he is still and will always be the only man who will have ever won the team’s # 12 jersey. Bogg’s played for 3 different teams during his 18 season career each time sporting his trademark number. 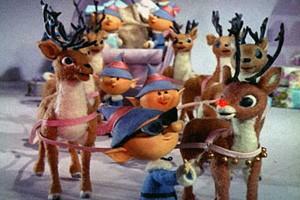 If you put them all together doesn’t it spell out 12-12-12? 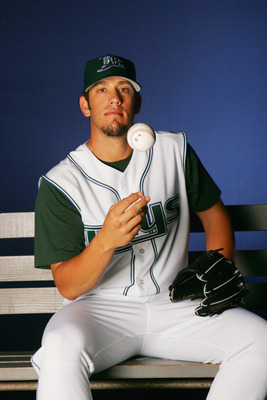 He was a Tampa Bay Rays player I truly thought had figured out his role and was about to ascend into stardom. Posting positive seasonal marks over the last 2 years, I felt he had approached the point of becoming more than Sean Rodriguez, he would be anointed with the nickname S-Rod, for he seemed to have everything going for him heading into the Rays 2012 season. But even with the joyous noise of the Rays and Rodriguez today avoiding the arbitration process by agreeing on a 2013 salary of $1 million, the million dollar question still stands as to if S-Rod will be with the team on April 2,2013 when the Rays have their official Opening Day at Tropicana Field against the Baltimore Orioles. Will Rodriguez again prove himself in the Spring, or will he somehow again find holes in his bat and watch his field play dissolve into missed opportunities that could send him again into the Triple-A penalty box, possibly bringing a unfortunate end to his Rays fairy tale existence. I mean I for one did not, could not of seen the debacle that was Rodriguez’s 2012 season coming because ever since his arrival he has shaken off injuries, sting ray barbs and slumps before without any downward spiral to his career. Ever since his arrival into the Rays system as a player to be named later in the Scott Kazmir deal, Rodriguez had seen his talents and abilities rise like a Tampa Bay high tide. Adapting to every position the team penciled his name into from 3rd option catcher to outfielder and finally a significant cog in the Rays infield alignment. The Rays 2012 season was suppose to be Rodriguez’s MLB coming out party with him entrenched as the Rays Opening Day shortstop with plenty of rainbows and pixey dust on the horizon finally for him. But as quickly as he could pick up a grounder and underhanded it for the start of a routine double play, Rodriguez saw his season take on more twists and turns than an episode of “American Horror Story”. Who in their right mind could have seen or predicted the beginning of the slippery slope that Rodriguez had to endure in 2012 with finally accumulated with him spending time at Triple-A Durham. But Rodriguez has always seemed to have a lucky star, a brightness to him that seemed to take his troubles and whisk them away with ease, but 2012 definitely brought about numerous questions, and a shortness on possible answers as to if he would again reign supreme at the major league level. 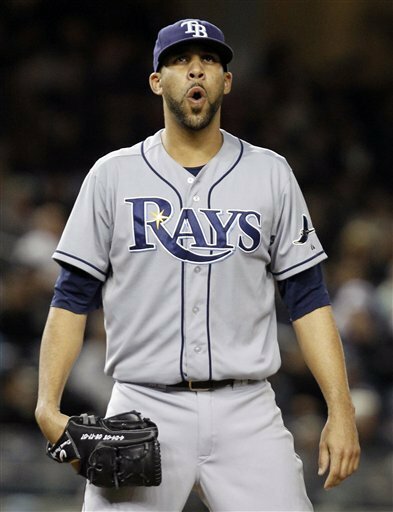 Still through all this tossing and turning of fortunes throughout the 2012 Rays season, Rodriguez somehow remained “rubberized” and bounced back from his demotion and subsequent fight with a locker in Durham to again grace a Rays jersey in September when the Rays roster expanded. Who would of guessed the same guy who appeared in 112 games (87 starts) for the Rays have to endure such hills and valley throughout the season. I mean this is the same guy who hit .248 over his first 42 games in 2012, then went into a unforeseen tailspin that saw him hit .185 in his 70 games after May 22nd. Was this the same guy who was a huge catalyst when Evan Longoria went down by pushing out a .300 average with 3 HR and 9 RBI over his first 22 games in May, including 11 starts at Longo’s Third Base slot. Maybe the pressure and added momentum to be “the guy” during the injury absence of Longoria stifled Rodriguez a bit, but who would of guessed that from May 23rd to August 7th when Longoria returned, Rodriguez would be mired only hitting .164 with 35 K’s in 53 contests. When Longo returned to the Rays lineup, Rodriguez had a short period where he hit .300 from August 7-20th, but it was too little too late and he found himself optioned to Durham when the Rays activated DH Luke Scott from the 15-Day DL. You would have thought Rodriguez would dig deep into himself and bring out a thirst and hunger to get back to the MLB level ASAP, but after playing in only 2 games for the Bulls, Rodriguez and a Durham locker had some issues. 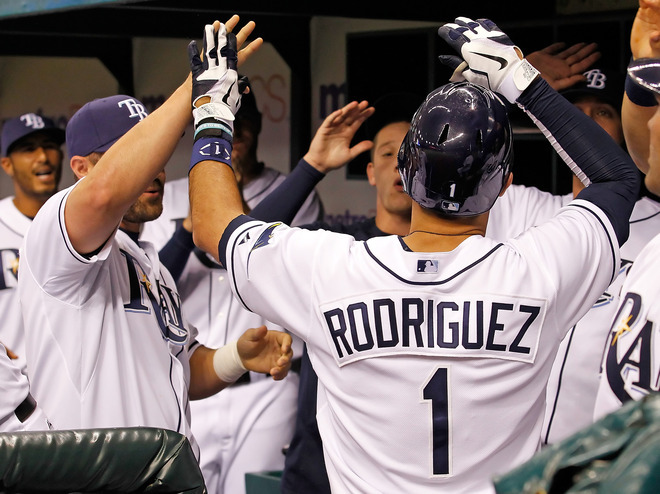 Rodriguez only went 3-6 with a HR and 2 doubles in his short stint with the Bulls, and when rosters expanded, he was immediately put on the 15-day DL and appeared in only 6 games over the rest of the Rays 2012 campaign. 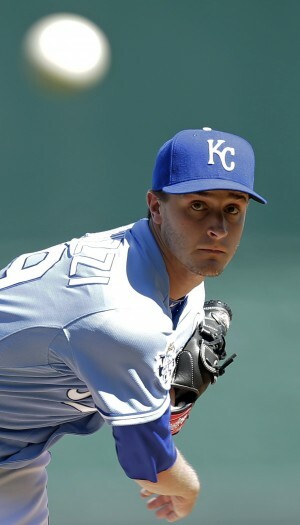 Rodriguez had somehow during his 2012 season struggles lost his luster against southpaw hitters as he watched his career .260 average against left-hander produce a 2012 total of only .228 with no homers. 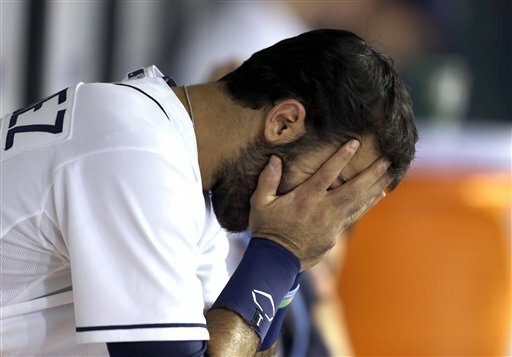 But Rodriguez’s 2012 struggles did not only happen at the plate, for the first time in his career, Rodriguez committed 2 errors in 2 consecutive games (Sept 17-18th) after his reinstatement from the disabled list becoming the first AL player with multiple errors in consecutive games since Detroit Tiger Carlos Guillen back in 2006. Even the thrill of his 10-game hitting streak from May 2-12th could not dilute the pure fact question marks were beginning to surround Rodriguez and his tenure with the Rays. So I guess the true million dollar question is not if 2012 is going to be an isolated event or the beginning of a trend, but more if the usual up-beat and positive personality and mindset of Rodriguez will return this Spring making him again someone to watch closely in those pivotal Spring games as he again solidify s his Rays foothold on the Port Charlotte, Florida clay infield. 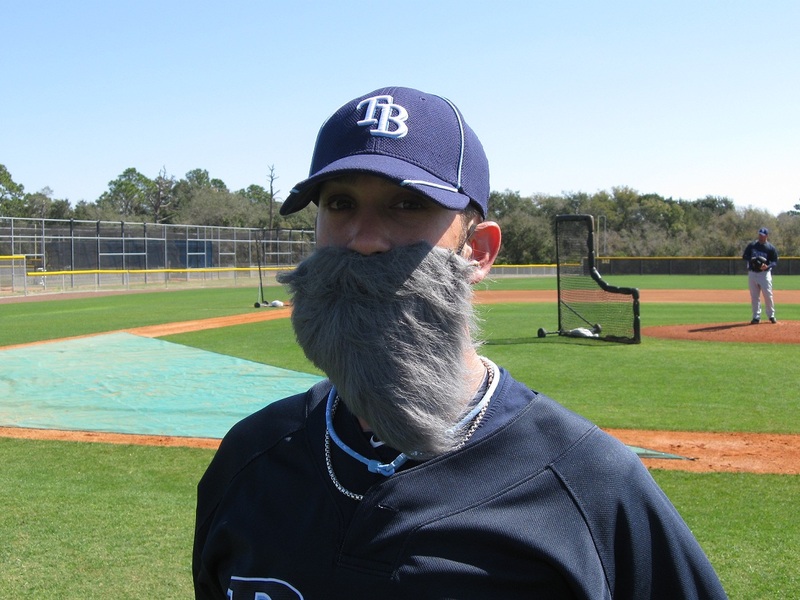 If Spring 2012 is an indicator, Rodriguez will again try to lay claim to an infield spot, possibly making the Rays again think long and hard about their shortstop position. 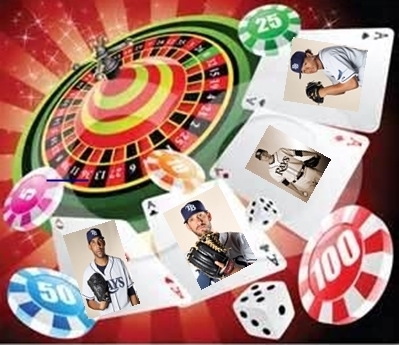 Right now there are meandering questions surrounding Rodriguez and his upcoming plans in Spring 2013 of turning his 2012 negatives into immediate positives and shine again in any and every capacity for the team. 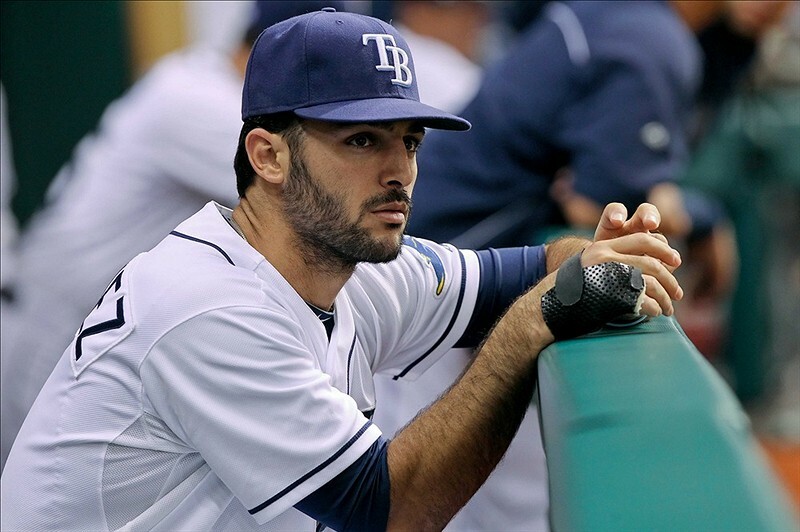 With his salary now out of the way, it could also clear the way for the team to possibly use him as filler for a trade, or if the Rays front office still has high hopes and knows his 2012 was a unfortunate blip on his career radar, Rodriguez should again climb out of this hole and be better for the adventure. Seriously, if Rodriguez again shows not only the fans, but his teammates and the team’s front office his head and heart are again aligned perfectly with “the Rays Way”, the all the proverbial mini-Raymonds will somehow again line up in a row on the chalk lines as Rodriguez again shows his renewed vigor, vitality, brilliance and resilience that could erase every one of those current swirling million question marks surrounding him and his Rays future. 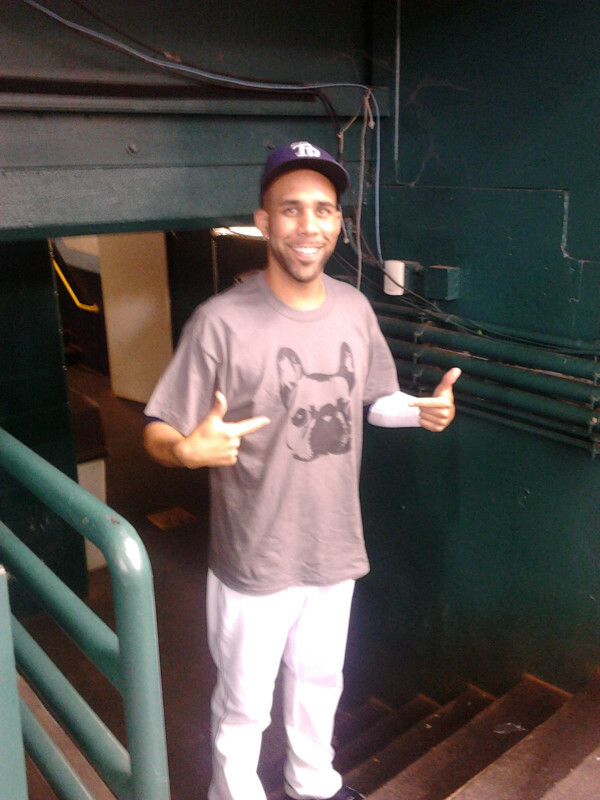 I am hearing some pretty sweet music from friends who follow the Los Angeles Dodgers on the Tampa Bay Rays recent signing of veteran James Loney. 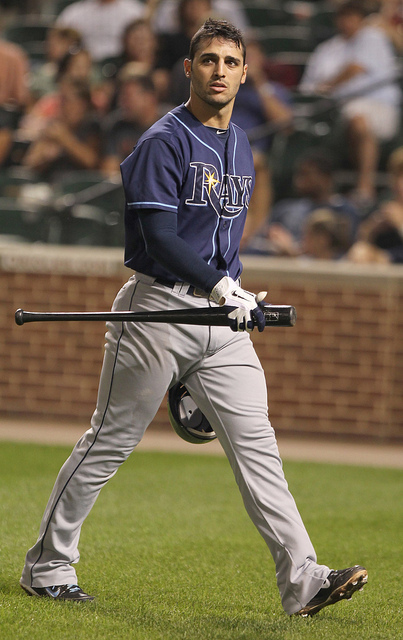 Some have proclaimed Loney a shining MLB gem that gathered some unusual dust, rust and lost a bit of his luster in 2012, but easily could easily show up to Port Charlotte, Florida this February polished, glimmering and shining like a diamond in the rough for the Rays. We all know without reservation that Loney brings with him a nifty glove (career .944 Fielding Percentage), an immediate improvement to the Rays anemic offense situation (108 hits in 2013 between Boston and LA), but his energetic aura will help most in filling the void left when certain members did not return to the Rays. With Carlos Pena and B J Upton gone, the team had a void in their team leadership, and Loney definitely fills that void to overflowing. 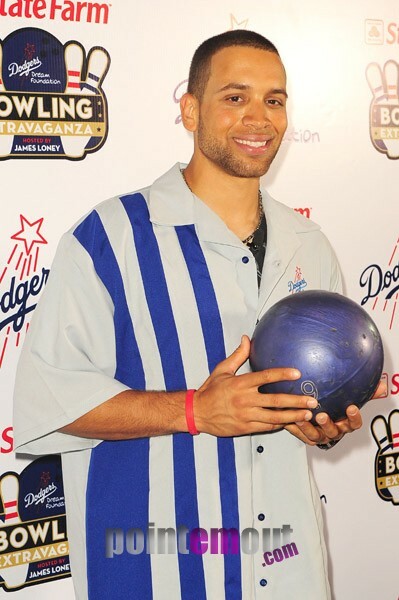 I some might forget with all the changes over the last few years with Dodger personnel, Loney has appeared in 752 games since 2008 for the Dodgers which would in retrospect rank Loney in a solid 4th place All-Time for the Rays with Carl Crawford (1,235), BJ Upton (966)and Aubrey Huff (799). 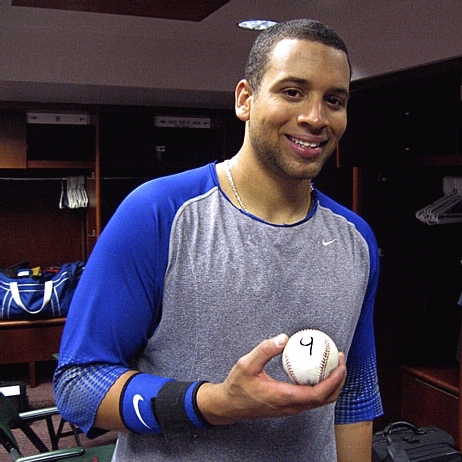 Loney does come into St. Petersburg with a lifetime batting average of .282, there is hesitation for me to strike up the bandwagon and greet him with open arms. Some will say Loney might finally be feeling his MLB age as he saw his batting average free fall from healthy .288 in 2011 with some power (12 HR) to an All-Time low in 2012 of .254 in 114 games with the Dodgers before his trade to the Boston Red Sox where Loney produced a .230 average with 2 HR and 8 RBI in the season’s final 30 games. 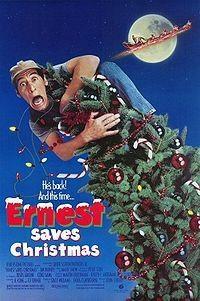 Still, that average is way superior of Carlos Pena’s .197 batting average in 2012. We have to remember the Rays did not sign the 2008-2010 version of Loney who averaged almost 90 RBI and 12 HR during that trifecta of seasons, this is an aging veteran who has the ability to make this team more cohesive and not be a negative addition to their roster. Loney never developed that huge power stroke most people forecasted in his early seasons, and in Tropicana Field he does find a friendly 322 foot mark down the Right field line that might spark a few extra HRs in 2013. Hidden deep below those compelling anemic 2012 stats is a few speckles of a glimmering gem that could help the Rays a lot in 2013. Loney hit for a .294/.351/.441 line against right-handed pitching while also grading out as one of MLB’s best defenders at first base over the last 3 seasons. Considering the Rays signed Loney to a 1-year $2 million dollar deal with a chance to amass another $1 million in incentive bonuses, the deal is not a financial killer to the Rays if Loney doesn’t become the needed weapon for the team. 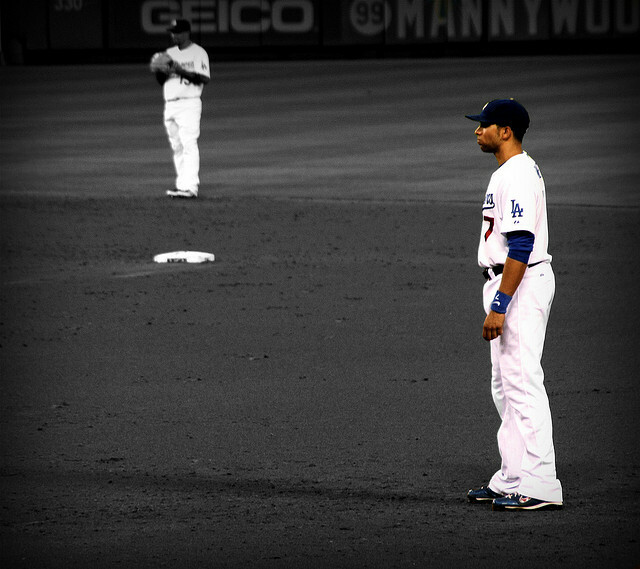 Sometimes MLB players have a “glitch” season during their MLB journey. Let’s hope 2012 was Loney’s only venture away from his usual productive bat and he again proves to have a vacuum cleaner glove down the Rays First Baseline. If Loney does find some of his past luster, the $3 million dollars the Rays invested into Loney could possibly once again produce a “Comeback Player of the Year”, and a few games more into the post season fun. 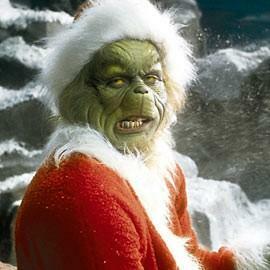 Glimmer on Loney, Glimmer on!